Maddy Harland cooks up a real seasonal, permaculture plateful: cobnut burgers with a tomatillo salsa with runner beans from the garden and Carmargue rice. I'm having a bit of a cooking fest at the moment, inspired by editing Carl Legge's forthcoming book, The Permaculture Kitchen. This is not only full of delicious recipes, it has taught me the principles of cooking so that I can adapt my own recipes seasonally, with food that is in the garden and in the wilds or at the local market. It is a huge confidence booster and has inspired me to cook the permaculture way: seasonally, locally, creatively, and with that special ingredient: Love. We have had a real glut of cob and hazelnuts from the garden and the hedgerow. We have been literally scooping hazlenuts off the paths to the woods and our forest garden has provided some fantastic cobnuts. I have also grown tomatillos for the first time this year so I decided to use my seasonal abundance to make cobnut burgers with a tomatillo salsa. If you don't have your own cobs you can use the smaller hazelnuts. Mix all ingredients together. Make into patties. Roll in breadcrumbs. Fry on a medium heat in a non-stick pan on both sides in hot oil until nicely browned. Remove the husks from the tomatillos and wash them under cool water until they don't feel sticky. Cut them into quarters and put them into the bowl of a food processor. Add the onion and garlic and process until smooth. Or use a stick whizzer and blitz them. Add the ground coriander, green chilli and lime juice and blend until the chilli is finely chopped. Confession time: I used a red chilli so it turned the salsa pinky! It was all I had at the time but a Jalapeno is probably much better. Put the mixture into a small saucepan. Season lightly with salt and add the sugar. Bring to a boil over medium heat. Cook, stirring occasionally, until most of the liquid has boiled off and the salsa has thickened (about 15 minutes). Cool before using. Serve the cobnut burgers with a a healthy amount of the salsa and add fresh runner beans and Camargue rice. You'll have a lovely combination of colours and seasonal taste. 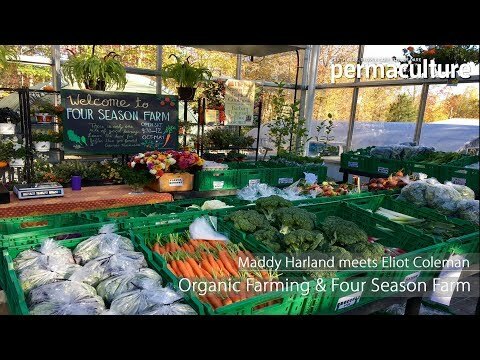 Maddy Harland is the co-founder and editor of Permaculture magazine - practical solutions for self-reliance. Love our online content? We'd love you to support us by SUBSCRIBING to Permaculture - it's got even better stuff in it! Download a FREE sample issue and try before you buy. Also available as a digital subscription (for just £10) and Apple and Android devices.